I get very protective of Boston Calling Music Festival. I’ve been going to the festival since its inception in 2013 (this year was my fifth time attending and third time covering it for Sound of Boston), and I’d actually started to grow fond of Boston’s eerie, stone-cold City Hall—even though an uninformed tourist might mistake it for a jail—because I associate it with so many good times at Boston Calling. You’ve probably heard of Beats Music by now. 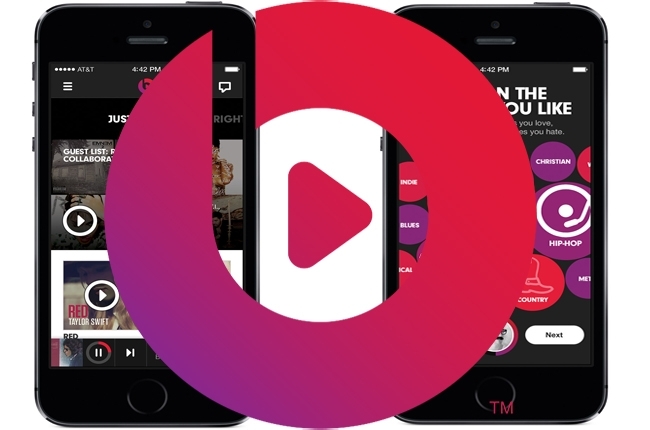 A subscription-only music streaming app launched this week by Beats Electronics (Dr. Dre’s headphones company), Beats Music is expected to give mostly-free services like Spotify and Pandora, as well as other subscription-based music apps like Rhapsody and Rdio, a run for their (possibly non-existent) money. Lately the music streaming category has experienced massive growth given changing paradigms in the way that people listen to, access, and discover music. Still, we’ve yet to see a “big player” break through. No one’s truly figured out how to make such a business model work. With Beats Music, though, it looks like Dr. Dre is on a mission to change that. His celebrity status and the star-studded crew behind him will certainly be an advantage. Now, I’ve never been a regular Spotify or Pandora user, and I’ve never even considered subscribing to something like Rdio or Rhapsody. When it comes to music, I’m a bit of a control freak and can’t stand not choosing songs for myself. Like, it even makes me nervous to turn on iTunes shuffle even though it plays stuff that I’ve hand picked to go into my own music library. I have to be the one curating my playlist from song to song, and I’m not going to let some weird, impersonal algorithm do it for me. Turning on a brand spankin’ new album for the first time — especially a new release coming from one of your favorite artists — has got to be one of the best feelings. 2013 definitely did not disappoint on that front. Whether I’d been waiting for the album for years or I was just checking out a hyped-up artist that I’d never listened to before, this year I was pretty much in a constant state of excitement about all the new music gracing the world. Here’s a rundown of my favorite albums released in 2013.